Our Los Angeles Private Investigators are licensed in the state of California and can perform investigations anywhere in Los Angeles. 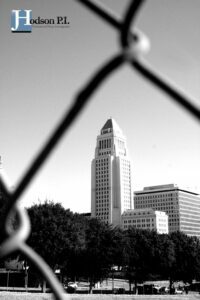 Our Los Angeles Private Investigators reside and work in Los Angeles. All of our Los Angeles Private Investigators have at least 10 years experience in their specialty. Hodson P.I. Investigations only employs the best. Each investigator is independently licensed. If surveillance, backgrounds, missing people, service of process or other, our licensed Los Angeles Private Investigators can help. To learn more about the services our Los Angeles Private Investigators offer, click here. To learn more about of investigations firm, click here. To get a free online quote for your investigation in Los Angeles, click here. Below you will find cities in Los Angeles County that we conduct investigations. If you do not see the city you need coverage in, contact us directly.